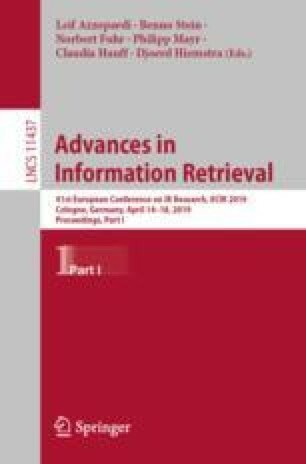 The fast growth and development of online social networks has posed new challenges for information retrieval and, as a particular case, recommender systems. A particularly compelling problem in this context is recommending network edges, that is, automatically predicting people that a given user may wish or benefit from connecting to in the network. This task has interesting particularities compared to more traditional recommendation domains, a salient one being that recommended items belong to the same space as the users they are recommended to. In this paper, we investigate the connection between the contact recommendation and the text retrieval tasks. Specifically, we research the adaptation of IR models for recommending contacts in social networks. We report experiments over data downloaded from Twitter where we observe that IR models, particularly BM25, are competitive compared to state-of-the art contact recommendation methods. We further find that IR models have additional advantages in computational efficiency, and allow for fast incremental updates of recommendations as the network grows. This work was funded by the Spanish Government (grant nr. TIN2016-80630-P).